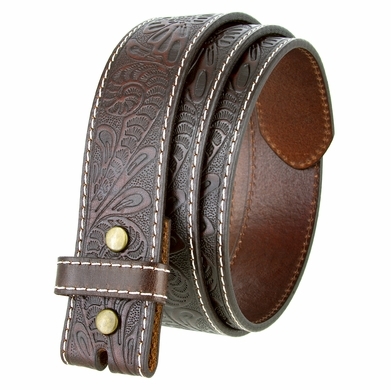 1-1/2" Western floral engraved tooled genuine full grain leather belt strap. 5 holes easy fit adjustment. Contrast stitching and a leather loop.